Rugged, yet oh so refined, you are sure to enjoy our 2014 F-150 Lariat SuperCrew 4×4 displayed in an incredible Sterling Gray Metallic painted finish. Under the hood, find a powerful Turbo Charged 3.5 Liter EcoBoost V6 that supplies 365hp while connected to a tough 6 Speed Automatic transmission with Ford’s Tow/Haul mode. This team rewards you with around 22mpg along with an aggressive ride that will always leave a smile on your face. Our formidable Lariat is accented by great looking 17 inch wheels. Inside, it’s top notch all the way! Luxurious seats reward you with comfort, while you listen to your favorite tunes on the premium audio system. Dual climate control keeps all of your passengers comfortable and an easy to use navigation system ensures you are always on the right path. So, pop open the sunroof and hit the road! 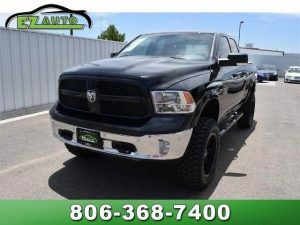 Meet our CarFax Certified, Accident and Damage Free, One Owner LIFTED 2014 RAM 1500 Big Horn Quad Cab 4×4 shown in handsome Black Clear Coat. Under the beefy hood is our legendary 5.7 Liter HEMI V8 with fuel saver technology. This renowned engine generates 395hp and is tethered to an 8 Speed TorqueFlite transmission that rewards you with near 22mpg on the open road and a smooth supple ride with superior acceleration as well as the ability to tow. You’ll make a statement without saying a word when you pull up in this attractive 1500 Big Horn 4×4 that is highlighted by Nerfbars, new professionally installed 6 inch Rough Country lift kit, new35 inch Maxxis Mudder Buckshot tires and new20 inch Mayhem wheels! Be the envy of the neighborhood in our Lifted 2014 Ford F150 FX4 SuperCrew 4×4 shown in Tuxedo Black Metallic. This machine is powered by a stout 5.0 Liter V8 that offers 360hp on tap while paired with a 6 Speed Automatic transmission and Ford’s Tow/Haul mode. Secure up to 21mpg while enjoying a quiet ride and find that reliability and performance are what have made the tough F-150 one of the top selling full-size trucks on the market today! This one includes new professionally installed 6 inch Rough Country lift kit, new35 inch mud tires, new 20 inch wheels and Nerf Bars. Inside this FX you will enjoy the durable and stylish feel with comfortable seating and easy to read modern display center. There are great storage spaces and you can SYNC your phone to the AM/FM/CD stereo to become hands free. 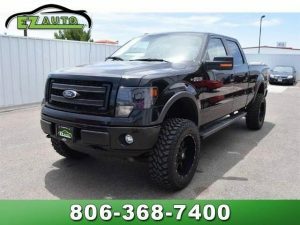 Add in Heated and cooled front bucket seats, Memory Seats, Black leather interior, Navigation System, Premium Sony Stereo, Sunroof, a Backup camera, Backup sensors, an 8 touch screen and more and you have found the PERFECT truck! 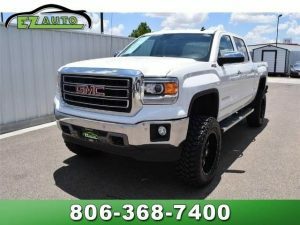 Our 2014 GMC Sierra 1500 SLT Crew Cab 4×4 in Summit White will exceed your towing or hauling requirements as it keeps you working, traveling, and smiling. Powered by a brawny 5.3 Liter, this V8 secures 355hp while mated to a 6 Speed Automatic transmission. This stellar 4×4 scores up to 22mpg on the highway. Our SLT is enhanced by chrome trim and alloy wheels. Inside, it supplies indulgent materials with upscale elements generally found in expensive luxury pick-ups. You’ll love the feel of heated and cooled leather front seats with memorized settings while you enjoy power and technological goodies, along with an impressive sound system and dual-zone automatic climate control that add to the prestige. Do any of these lifted trucks appeal to you? Stop by our lot today to take a test drive! 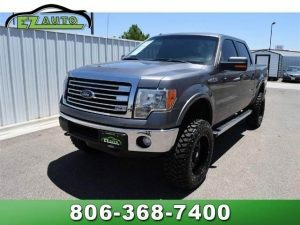 We also have plenty of other used cars for sale in Lubbock for you to choose from. Our Lubbock used car dealership has earned the Quality Dealer Award multiple times since we were founded in 2009.  That’s because our experienced sales staff is committed to great customer service and treats every customer coming through our doors with respect and courtesy. You are our priority. 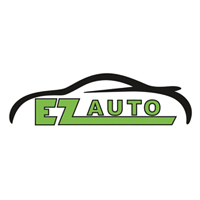 Visit our dealership and see the latest models available!